Dubai has developed into one of the world’s most astonishing metropolitan cities. From Lamborghini Police cars to the World’s Tallest Tower, we have it all. Nevertheless, the Upper-East side of Dubai is still undiscovered. Here are four major VIP things to do in Dubai. Defining luxury since 1999 and labeled the “World’s only Seven-Star Hotel,” Burj Al Arab is Dubai’s most elegant hotel. The hotel is built on a human-made island, which consists of 202 sumptuous suites. One of the many exclusive features of the 7-star hotel is the unique dine-in experience on their private helipad. With the breathtaking 360 degrees view of Dubai, you can book yourself a private dinner at Burj Al Arab for DHS 10,000. With over 1200 stores, Dubai Mall has an exclusive range of international franchises, making it a must-visit for every traveler. From a 10-million liter aquarium tank to a 24-acre Burj Lake, Dubai Mall has exciting adventures in store for their shoppers. The management offers the “VIP Privilege” to individuals who spend more than DHS 100,000 per month at the mall. This exclusive package includes access to the secret VIP Lounge with complimentary food and beverages, free valet parking, porter and buggy service, and dining discounts. Desert safari is one of Dubai’s most visited tourist attraction. But can we make dune bashing luxurious? The answer is yes; in Dubai everything luxurious is possible. 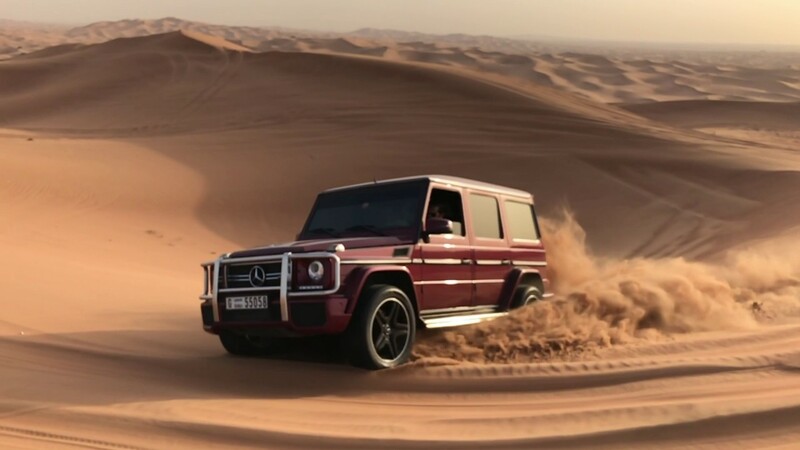 The Platinum Heritage offers an elite package where you discover the Arabian Desert in a Mercedes G-Wagon. What’s more is that you can take a helicopter to avoid the long journey to your destination! The tour company creates exclusive packages for royal family members and provides the utmost luxury to their customers. Have you ever wanted to drive the world’s fastest and luxurious cars? Well, here’s your chance. In one day, you get the chance to ride a Lamborghini LP700 Aventador, Ferrari 458 Spider, Mclaren MP4-12C Spider, Lamborghini LP560 Gallardo, and Mercedes SLS AMG. The Supercar Tour is every automobile lovers dream come true. Mr.Aristotle offers packages starting DHS 10,000, which includes a photo shoot, video shoot as well as breakfast, lunch and refreshment breaks. The passenger is allowed to drive each car for one hour, which means five hours of pure car heaven only in Dubai. These are just four of the many luxurious adventures hidden in Dubai, and if you know more comment below! Previous How Important is Sleep?